Yes, the dates don’t perfectly line up (especially the 2010 to 2013 gap to the D7100), so it’s tough to interpret directly from these charts. Still, the trend should be very clear. I’ve been writing for awhile now that a one stop (plus or minus a third of a stop) “gain” tends to happen every three years on average (based on my own data system). The DxO numbers show a slightly lower gain in that time period with these sensors Nikon has chosen, but nevertheless a gain over time that’s substantive and easily noticed. Lot’s of reasons may explain the difference. With my data I try to find the best performing sensor at each given time period (based on photosite performance divided by area). The sensor (and camera) companies don’t always move in lockstep, and sometimes skip or repeat generations of sensors. Sometimes more pixels have been chosen over best performance, and even with DX sensors that compromises fill factor a bit. 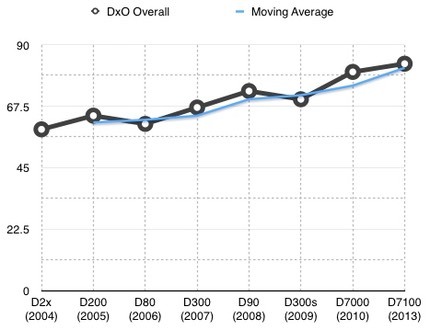 If you wonder why the D300s didn’t hold serve in the DX world, look at the graphs! Yep, a D90 and D7000 both trump it, and the D7100 really trumps it. The D300s was a bit like buying a really nice big car with a very underpowered engine. There’s no sign that the sensor progress is anywhere close to stopping. Plus all this talk that APS/DX sensor cameras will go away is nonsense. Look at that ten year gain and project it forward. Then remember that the larger full frame/FX sensor costs eight times as much to make, all else equal, and is the most expensive part in the DSLR-type cameras. It seems clear to me that you could make a 12mp DX sensor today that performed as well or better than the original D3 FX sensor. Someone should exploit that at some point. To some degree, Fujifilm already is with their 16mp X-Trans sensors. They could have gone 24mp with them from the beginning, but it’s clear that they were looking for lower visible noise in the results rather than more pixels. The real issue for the APS/DX future is tradeoff. 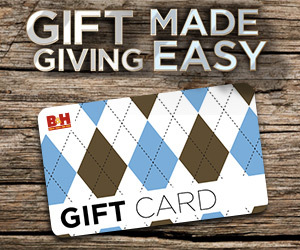 We’re trading off a few quality factors for price, basically. As long as the cost of an APS sensor stays in the US$20-50 range and the average price most people want to pay for a competent interchangeable lens camera is in the US$500-1000 range, the tradeoff works. With silicon, the inevitability is that the price comes down over time. However, it comes down far faster for the same level of performance—and often higher—if you can do it in smaller chip sizes with each generation (e.g. memory and CPU chips). Image sensors don’t exactly follow that price reduction scenario, though, which is why full frame/FX sensors are still expensive enough to force US$2000 and higher price points without something else in the camera being driven down in cost. With DSLRs, that something else is the complexity caused by optical system chain. Two to three mirrors, a pentaprism, a focus screen mechanism, additional metering and focus sensors, and a whole host of remarkably precise mechanical calibration issues during manufacturing. Of you could replace all that with an EVF with no mechanical calibration issues. And that EVF will drop in price as volume of its use goes up. And this is where price comes back into play with image sensors: you move the preview, metering, and focus functions to the sensor silicon, where you can drive costs down and performance up over time. This is why I’ve written for a long time that it’s inevitable that DSLRs eventually become mirrorless (aside: I placed that bet several years ago when I started a mirrorless camera Web site ;~). DSLRs are too complex to continue to drop in inflation-adjusted pricing and stay in that under-US$1000 pocket. So we’ll see separate parts (meter, focus sensor) move into the ever-improving image sensor, and the things they previously needed to support them disappear. Exactly the way Sony has done it in the A7 series. 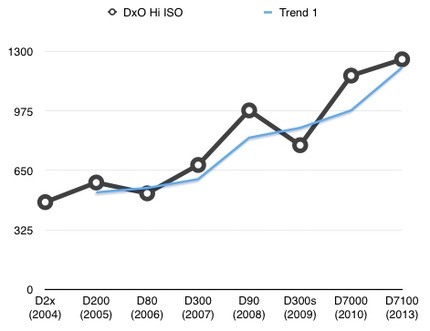 DX sensors will continue to improve in capability. DX sensors will maintain an important price advantage over FX sensors. Mirrorless approaches will drive out problematic complexity and cost; they remove components (meter, focus system) and put them on the sensor itself at no other tangible cost than R&D. Once mirrorless is driving the main interchangeable lens camera purchasing, “performance” cameras such as the D300s followup will need to be even more distinguished from the consumer cameras to remain profitable ventures. These things together define the immediate DX (and EF-S if you’re a Canon user) future. Lower-end DX should move fairly rapidly to a mirrorless approach once focus performance is fully addressed (which won’t be long, given the progress so far). This immediately puts pressure on any true DSLR-type D300s followup to be a real performance engine that can’t be matched by the consumer interchangeable lens cameras. Canon seems to have done that with the 7DII, though it remains to be seen how long that performance advantage will last. Meanwhile, at the other end we have Sony already pushing the FX systems down into mirrorless with the very capable A7 series. Sony is being price aggressive, trying to solve their missing lens problem as fast as possible, and has nicely arrayed three models in a way that lets a user pick a camera to their needs yet makes for very little parts/support differentiation between the models (unlike Nikon, where every DSLR is a different set of parts, manufacturing process, and servicing details). Sure, the Sony A7 models have liabilities. Some self-imposed (e.g. Sony’s terrible choice of lossy compressed raw). A few in the performance arena (mostly focus-based). That certainly leaves room in the middle for a D300s replacement and room at the top for continued Nikon FX development. But the room in the middle is narrowing rapidly, and the top end needs some work to adjust to the upcoming world, too. The question you have to ask yourself as a crop sensor DSLR user is this: what are you chasing most? Usability? Image quality? Precision timing? Durability? Compatibility? Usability. Mirrorless has already proven to me that a good mirrorless design can be as good or better than the existing DX DSLR designs. Nikon’s got a little work to do in this respect because their Live View on DSLRs has been lagging what’s going on with the best mirrorless cameras in their EVFs. Image Quality. We’ve hit 24mp DX, which I long ago (2003) wrote was about as far as we wanted to go for the mass market (due to lens resolution needs, diffraction, likely output sizes even for cropped images, etc.). As I noted in another article, we’ll get more megapixels even if we don’t want them, and as I note above, image quality is a continuously moving target where we’re getting better performance generation after generation. That said, image quality of a DX mirrorless versus a DX DSLR would be essentially the same, so it doesn’t really play in the decision as to when the mirrorless crossover hits and becomes what you’d prefer. Precision Timing. Frame rates and focus systems, basically, with a side dish of “system lags.” The Nikon 1 system gives us 60 fps (20 fps with DSLR-like focus). The upcoming Samsung NX1 uses genlock to get EVF lag down to 5ms. These are the things that most define the D300s replacement problem, actually. If it comes too late, mirrorless cameras will not only have caught up but exceeded the ability of a DX DSLR to get lots of shots precisely focused and timed to action. The window is still mostly open at the moment, but it’s considerably narrowed. Durability. Yet another area where the gap has quickly closed. DSLRs have going for them decades of iterative design to the point where the points of failure are very well known and specifically designed for (as one of my students discovered this summer in Africa, the D810 lens mount is designed to break away to minimize overall repair costs when struck with peripheral force). I have to say that my prosumer/pro DSLRs have managed to survive one heck of a lot of tough abuse that none of the mirrorless cameras to date have quite been able to match. That’s exactly the D300s replacement position, by the way: it has to be a camera that’s designed to last through years of really hard and rough use. Still, we’re seeing evidence that the mirrorless cameras are learning in this respect, and we’ve got quite a few now that are pretty well battened down. Compatibility. This, of course, is one of Nikon’s long-term wins that made their DSLRs so popular. Like to manually focus? Well, all those manual focus lenses in your closet still work with your camera. However, I’ll also note that this is the area I’m most scared about as Nikon moves forward. The dearth of DX lenses other than the convenience zooms has me and others wondering about Nikon’s long-term compatibility commitment to the DX mount. After all, when you transition to mirrorless you can design a shorter mount (and thus require yet another new set of lenses). Net summary of the last two articles: we’ll get more pixels and better image quality out of them for the foreseeable future. Meanwhile, functions are moving to the imaging sensor (Mirrorless) and away from separate parts (DSLR). The unanswered question is whether any of this is compelling enough to get photographers to give up their existing DSLRs (especially DX) for a new camera. That’s the problem the camera makers really need to solve.